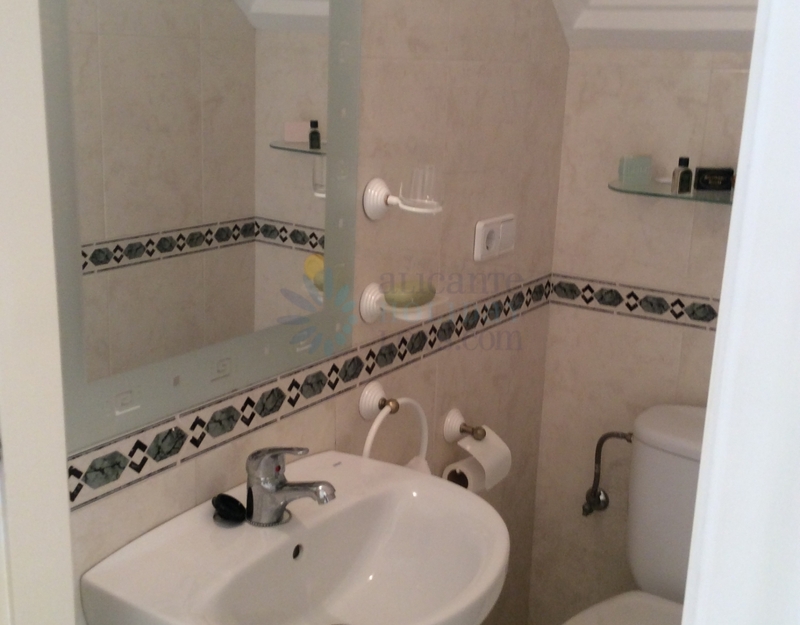 An excellent townhouse duplex in Doña Pepa, Rojales. The house has 2 bedrooms, 1 bathroom and one toilets, living/dining room and independent kitchen. Property is fully equipped: furniture, domestic appliances and air conditioning. The property has a terrace, green areas and communal pool. The townhouse duplex is situated in an urbanization with more than 200 services such as restaurants supermarkets, golf course, 4-star spa, school, health centre and sports area. Ten minutes by car from the beach and 30 minutes from the airport of Alicante and Murcia.